Been a while since I did one of these so wanted to give you a brief update on what I’ve had my mitts all over the last few weeks! It’s been a pretty epic one…for instance, it was so sunny I shaved my legs and put a skirt on. I know, EPIC INDEED. I’ve got around a bit, like the stationery bicycle I am! I also want to shout out to my buddy Ant at UK Fountain Pens for his awesome review of the new Birmingham Pens Ink line – the colours look beautiful! Check his post out. 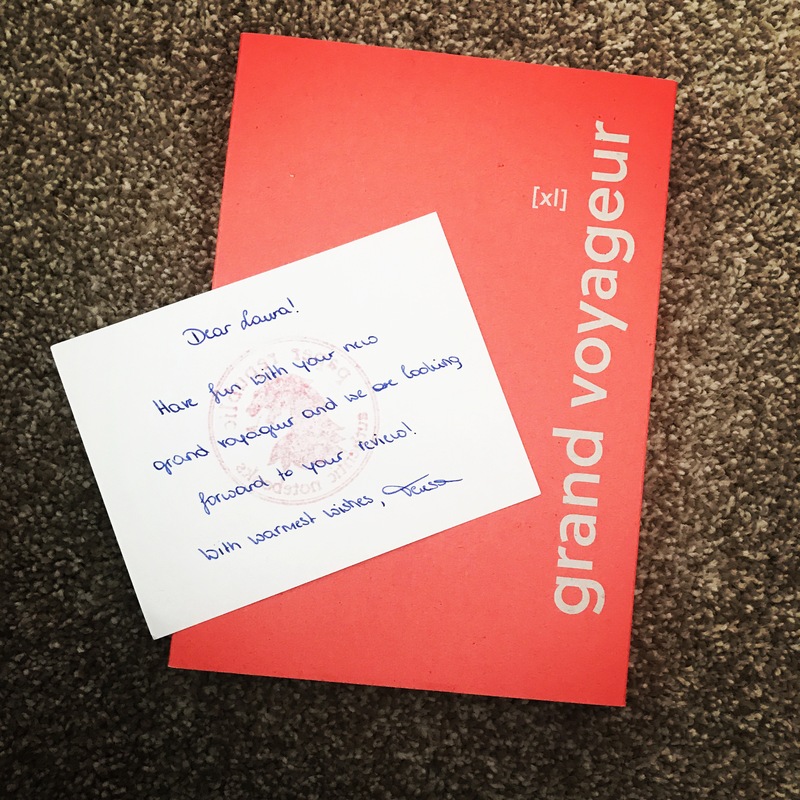 Thanks to Scribble at United Inkdom, a few of us have got to test Paper Republic’s Grand Voyageur XL Journal. It’s a leather journal holder in slightly smaller than A5 size, that holds a couple of inserts. I’m not going to give away too much as a full review is coming soon, but I’m in LOVE with my navy version so far. It’s a bit of a bugger that it is not truly A5, but the proprietary inserts look pretty sweet so far! You’ll get to see inside my drawers soon, promise! Look out for my thoughts soon. On the haul that is. Not the whipping. It’s my five year anniversary this week, and my better half kindly offered to buy me a pen to commemorate the fact we have not yet throttled each other. Awwwww! I went for a nib grind that I haven’t tried before: a medium cursive italic on a TWSBI Eco. 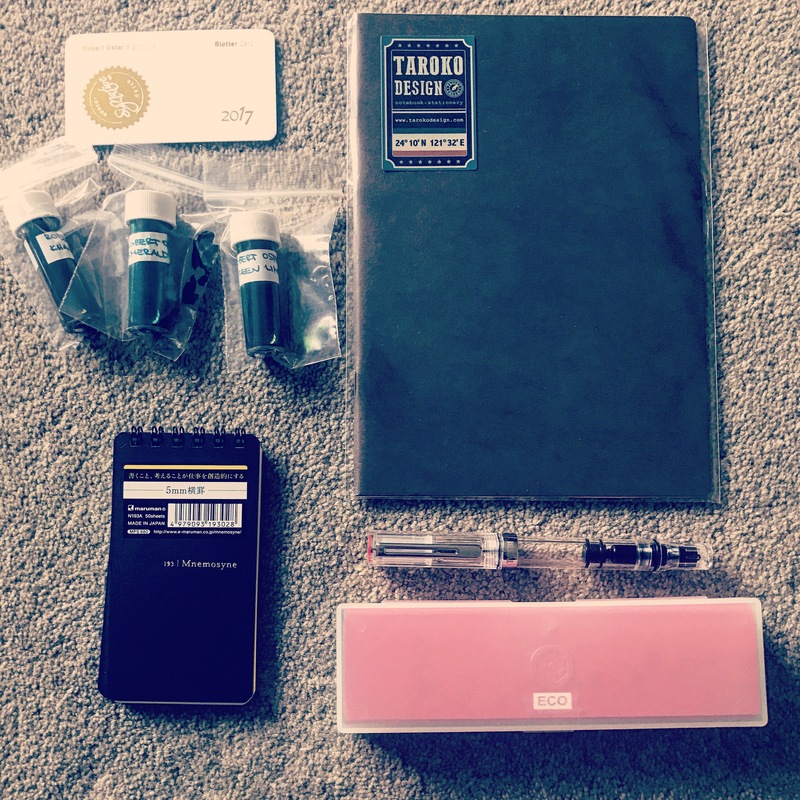 I picked it up from FP Nibs for the reasonable price of £30 plus shipping. I was scared that the grind might be too much for me to handle but…I freakin’ LOVE LOVE LOVE IT! It makes my handwriting look so pretty, is more expressive than a stub and is pretty darn smooth. I’m now investigating a fine version for my Vac Mini, and I’m tempted to have my Lamy 2k ground down too! What pen capers have you got up to this week?! 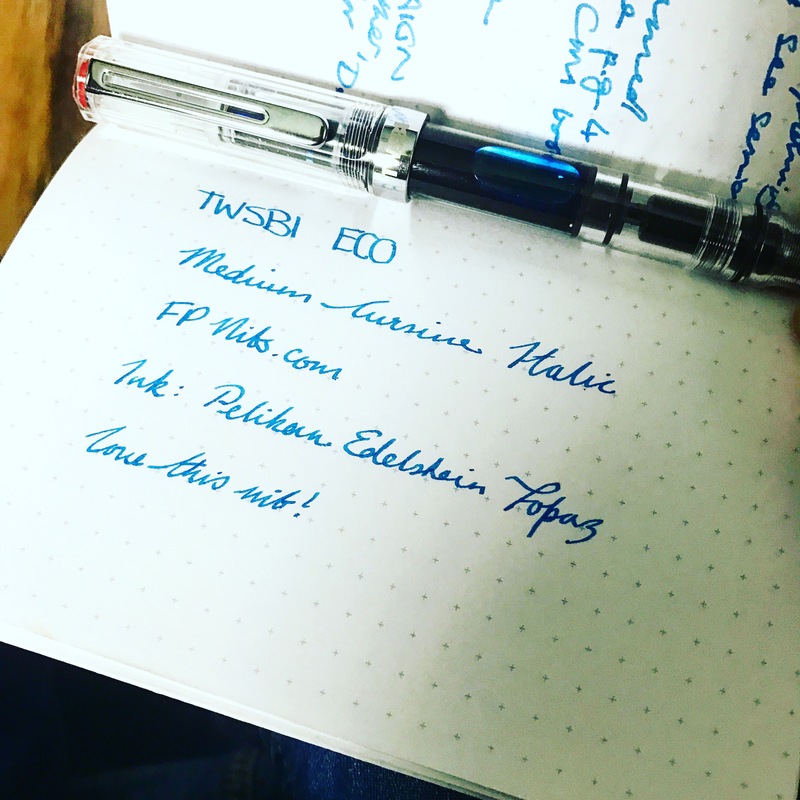 Nice write up would be interested in more of your thoughts on the eco with the nib grind especially as it’s a known dry writer to start with .